Day 3 of the LEGO 2015 reveals by Just2Good is now here and he has now shown the LEGO Ninjago 2015 sets. 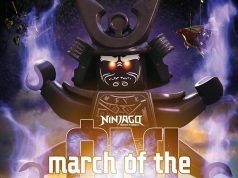 If you watch the animated TV show, you would know that the Anacondrai is back and it looks like LEGO will be having sets focus on them next year. Also, the boxes go back to the red color scheme when the theme was first introduced in 2011 with a slight variation. *Spoiler Alert* – We also get two new Ninjas to the team including an Orange and Titanium one. The Orange Ninja looks to be a female named Skylar while the Titanium Ninja is Zane. I’m not sure who the Orange Ninja is but we’ll be seeing more of her next year. Note that an unknown set 70751 and Jay’s ElectroMech (70754) is not shown below. 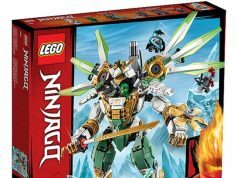 Update: The images for Jay’s ElectroMech are now available via Spielwaren-Bludau.